Keep your organization’s documents handily together inside pocket folders that you customize to give them a personal feel. 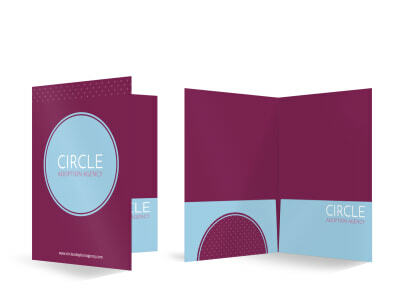 Our nonprofit pocket folder templates simplify the design process for your folders, so you can easily make them an extension of your brand. Take advantage of our online editor to upload your own images and photos for the front of your folders, or choose from an array of premium stock photos from our gallery. Add and edit text, choose your favorite fonts and colors, and manipulate the design to really give it a custom twist. Choose to print your folders from your location, or leave the printing up to us.